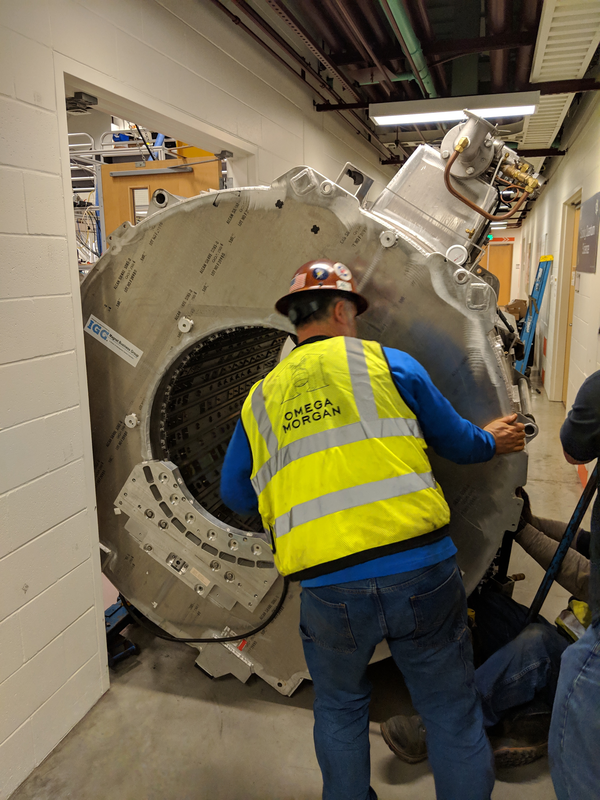 Santa Claus delivered a heavy superconducting magnet for the Project 8 experiment in middle of December. 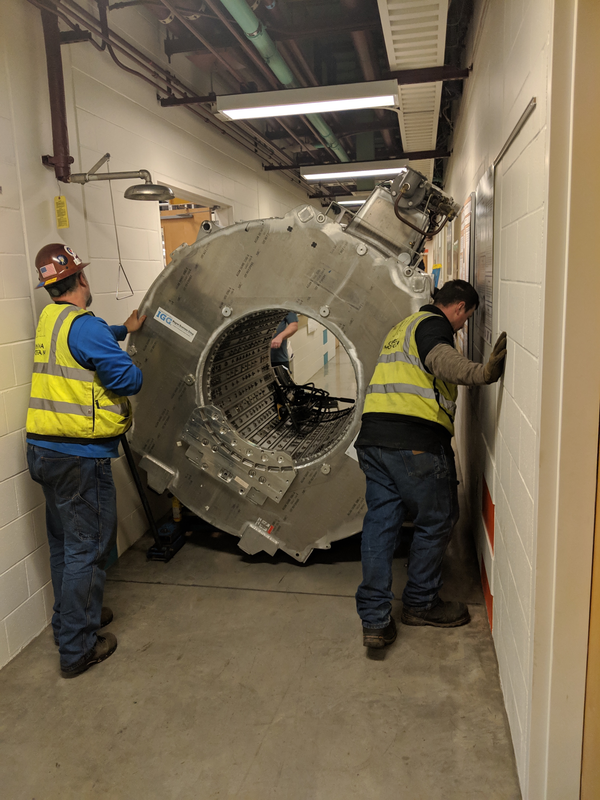 The magnet had been removed from a medical magnetic resonance imaging (MRI) system earlier in 2018. 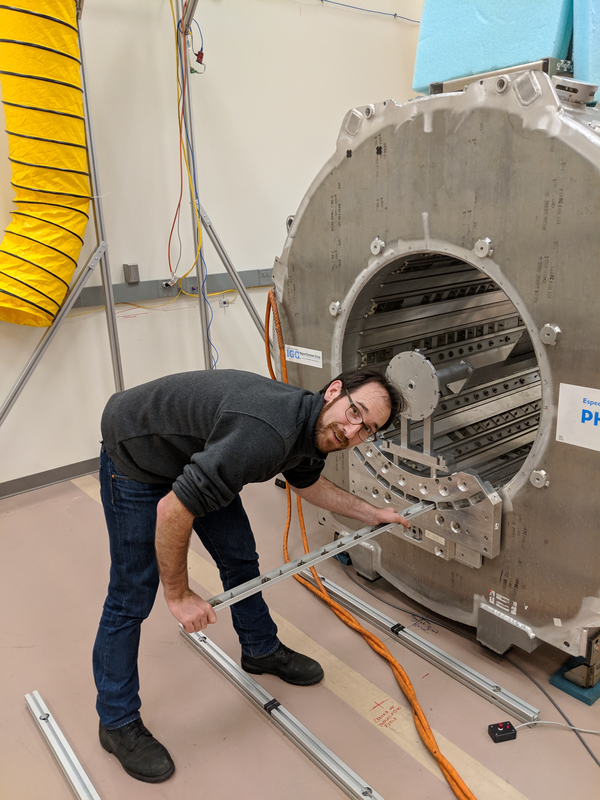 A multidisciplinary team of riggers (Omega Morgan and Philips), engineers (KEI Medical Imaging Services) and physicists (M. Fertl, UW) steered the 6500 lbs. magnet into the UW physics and astronomy building. To clear the limited height of the door frames the helium-filled magnet was rotated on its side and careful steering was required to push the magnet through an aisle, just wide enough to pass. After the mechanical and electrical installation, the magnet was topped off with liquid helium before it was ramped to the magnetic field required for the Project 8 experiment. In several rounds of shimming the magnetic field was homogenized by iteratively placing precision iron pieces at specific locations inside the magnet’s 90-cm-diameter bore. 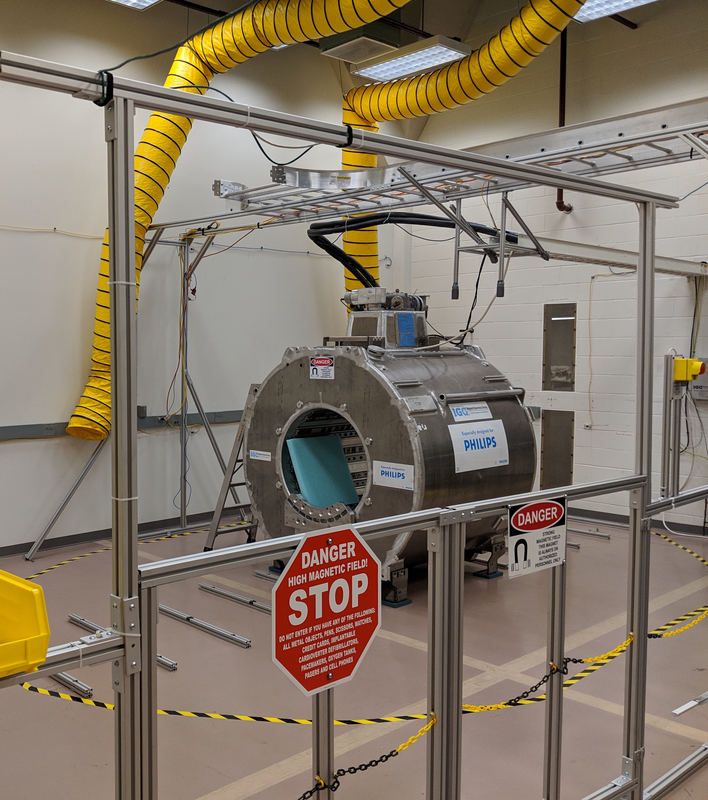 This new facility provides the required large-volume precision magnetic field region required for Phase III of Project 8. In this next step, the Project 8 collaboration aims to apply our new technology of cyclotron radiation emission spectroscopy of single electrons to a liter-sized volume of krypton and tritium gas. This installation was made possible by funding provided by the Department of Energy, Office of Science, Office of Nuclear Physics (CENPA, DE-FG02-97ER41020).